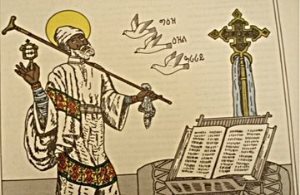 AFRICANGLOBE – Saint Yared (April 25, 505 – May 20, 571) was a legendary Ethiopian musician credited with inventing the sacred music tradition of the Ethiopian Orthodox Church and Ethiopia’s system of musical notation. He is responsible for creating the Zema or the chant tradition of Ethiopia, particularly the chants of the Ethiopian Orthodox Tewahedo Church, which are still performed today. He is regarded as a saint of the Ethiopian Orthodox Church with a feast day of 11 Genbot (May 19). Yared was born in the city of Aksum from his father Abyud (Isaac) and his mother Christina (Tawklia). His parents were born and raised in Aksum. Yared is thought to have used a form of musical notation. His father died when he was seven, and his mother sent him to be raised by his uncle Gidewon, a priest who taught religious studies. Yared created five volumes of chants for church services and celebrations. These volumes include The Book of Digua and Tsome Digua (chants for church holidays and Sundays services), The Book of Meraf (chants for major holidays, daily prayers and the month of fasting), The Book of Zimare (chants to be performed after Mass), The Book of Mewasit (chants to the dead). Tradition states that St. Yared was a favorite of the Emperor Gebremeskel. 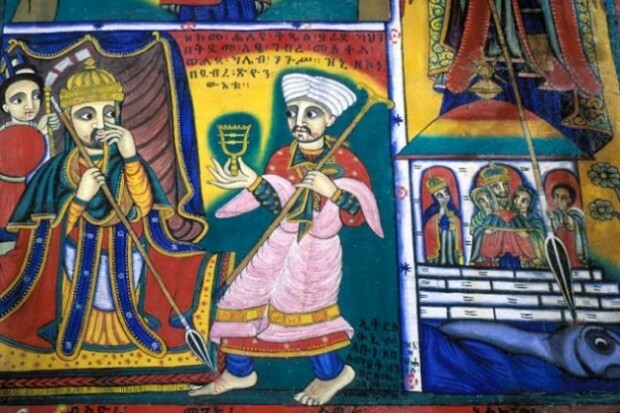 According to legend, the emperor once became so enchanted with Yared’s singing that he accidentally dropped his spear on Yared’s foot during a performance. As an apology, the emperor offered to grant Yared a promised request. St. Yared supposedly requested to live the remainder of his life in solitude, where he could focus on prayer, meditation, and music composition. He spent his final years as a recluse in the Semien Mountains.